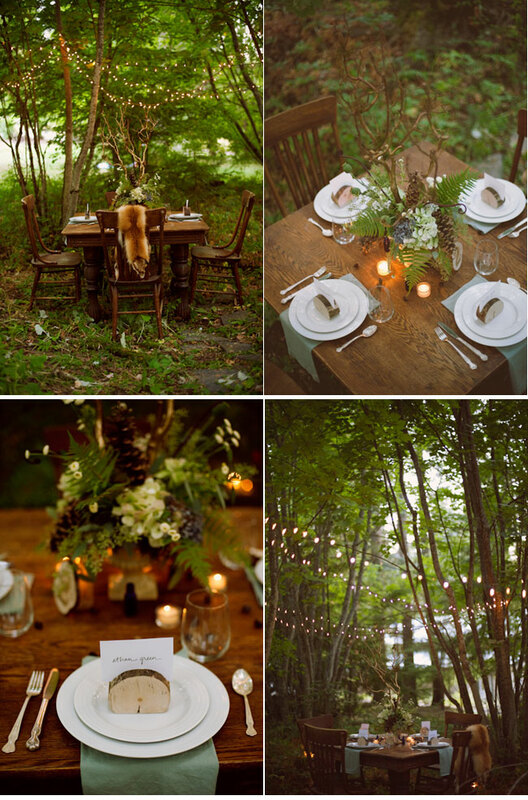 We can’t get enough of this woodland wedding inspiration shoot! We are gawking over all the lovely details, from the twinkle lights to the door ceremony backdrop. It is a dream forest! The beautiful photography by Rebecca Hollis Photography is AMAZING! 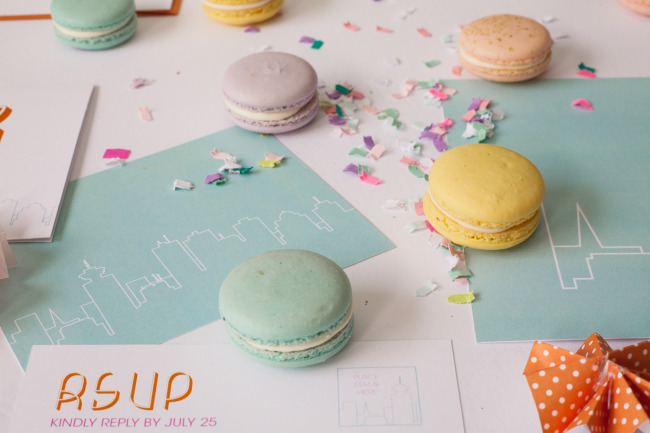 Here is what La Lune Events had to say about the styling: As designers we wanted to create a styled shoot that was out of the box and a little quirky! Autumn was the perfect time to create a woodland themed wedding inspiration shoot. The inland northwest is rich with woodsy elements and we wanted to show brides how they could incorporate these elements into a wedding in a classy and modern way. We shot on location at the Attic, a vintage rental company, and had complete access to their inventory. Roy Joy Design created the custom menu, invitations, and seating cards with pine needles and other woodland inspired elements. Our baker created a cake resembling a birch tree and La Lune designed the cake topper. Fleurtations Floral designed our centerpieces, bouquet and boutonnieres. She used woodsy elements of grass, feathers, and pinecones for inspiration. Feast provided the delicious food. Her menu incorporated earthy ingredients such as mushrooms, rosemary, sage, figs, and arugula. 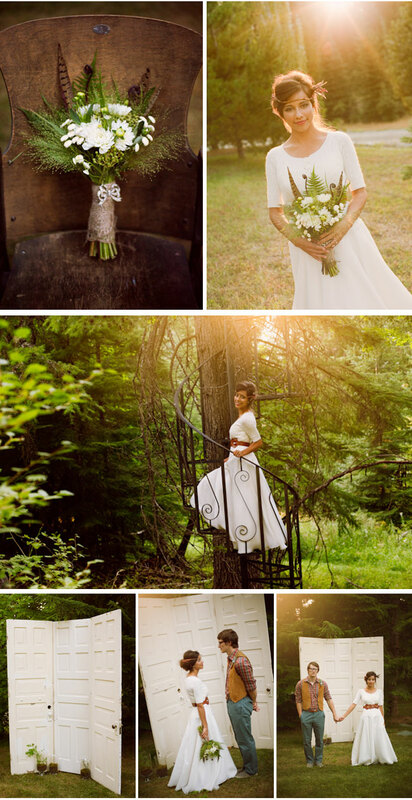 We wanted our bride in a traditional wedding dress but with elements that tied in the woodland theme. She wore a cashmere sweater, feather jewelry, and boots from CoCo Boutique. La Lune Events created the DIY head piece with feathers and berries. The grooms attire was thrifted but provided a casual and hunter inspired look! this vintage style woodland wedding is too gorgeous! one of my friend had this theme last year and also a great success, we enjoy time there sooo much. best wishes! LOVE,LOVE,LOVE! twinkle lights to wedding cake tops are all perfect woodland inspiration style! i like creative wedding idea that is out of box, i like reading blogs that describe their wedding process, and this one impress me most! Best wishes! Amazing wedding! Look foward to mine. The dress and belt were actually thrifted! Everything else (the sweater) came from CoCo Boutique in Spokane, WA. Hope that helps! Where is her dress from? I’m in the market and this dress is simple and gorgeous! Love the belt, too! 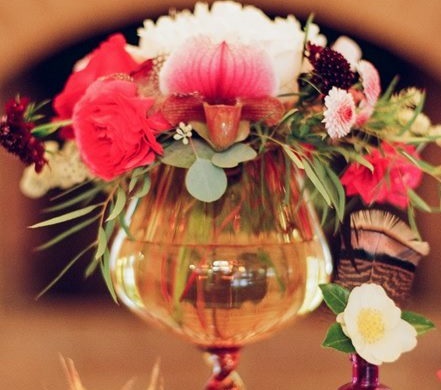 I love everything about this inspiration shoot! It feels so natural. The nuts as the heads on the cake toppers is a really cool idea! 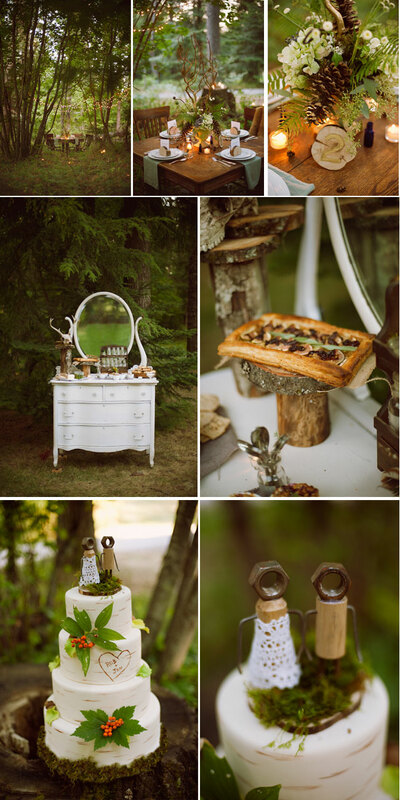 Autumn was the perfect time to create a woodland themed wedding inspiration shoot…:) beautiful!! Thanks for featuring this! La Lune Events does such an amazing job. Love! So gorgeous-I love all those stunning details! Absolutely amazing shoot! Great scene and creativity, and a wonderful job capturing it all on film.